In Japan, it is the “accident” that is the number one cause of death to children who is older than 1 year-old. The situation has never been changed since 1960. The accident required seeing a doctor or being in hospital happens every day in the similar situation in almost every part of the nation. Therefore, “injury caused by accident” is the most important subject for children’s health problem. Any organized enlightening activity, however, had not been conducted in Japan. 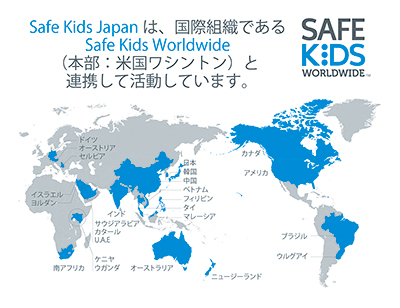 Non profit organization (NPO) Safe Kids Worldwide Japan was established on the 7th May 2014 as a member organization of Safe Kids Worldwide (Headquarters:The USA Washington DC) with the mission of “Protecting all children from preventative injuries”. It is the right of all the children to grow up healthy and challenge their dreams. Children can become active because of safety and become healthy because of being active. 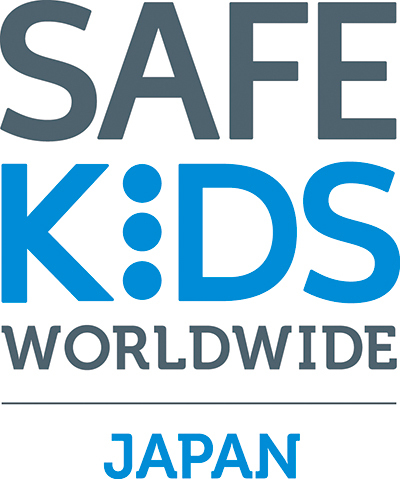 Cooperating with Safe Kids Worldwide, National Center for Child Health and Development and National Institute of Advanced Industrial Science and Technology, Safe Kids Japan has been working to support “environmental improvement”, “enlightening and education” and “making safety standard and law” that are meant to protect children from injuries. It is necessary that people with varied backgrounds get together in order to prevent injuries. In other words, everyone has a role to play in preventing injuries.